Kirstiekins Blogs: Shopping and Flowerbomb review! 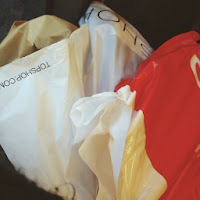 Okay, I know I'm supposed to be saving money but I couldn't resist buying a few little bits and pieces in the sales, especially as my student loan came in the other day! I'm going to do a haul or two of all the things I bought when they arrive, but today I want to tell you all about a perfume that I finally got my hands on! 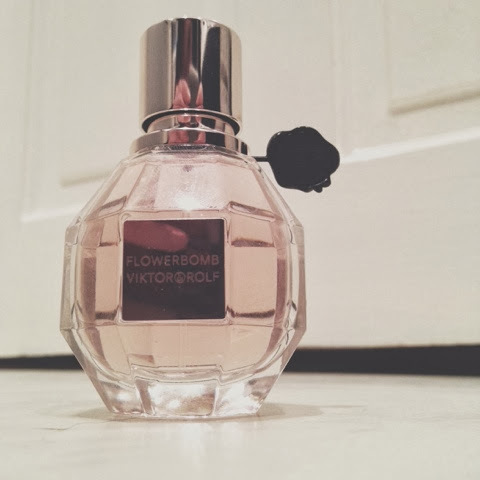 I fell in love with Flower bomb by Victor & Rolf just before Christmas. I was walking through John Lewis on Oxford street, pretending to be fancy, just like all the other people in there, when this tall glamorous woman asked if I wanted to sample the perfume. I usually say no, because I hate having things forced down my throat, however something made me say yes, and I am so glad I did. Maybe it was her friendly face, and warming smile that drew me in, but I felt as if she genuinely backed the fragrance. You go John Lewis Flower Bomb sample lady! Unfortunately I was really poor at that time, so I couldn't buy it, but now that I have a few extra penny's rattling around I figured I would treat myself! I'm not really a fan of floral perfumes, so I was actually surprised to like the perfume, but it's not over powering nor is it a really girly flowery scent. If anyone else is as grannified as me, you might have heard of a perfume called Anais Anais... I used to steal my mums bottle when I was a kid and wear it everyday, but as I've gotten older, the smell has become stronger and actually irritates me (Sorry Anais Anais). Flower bomb has quite a similar scent, only it's not as powerful, or as girly, which is great for me. I say that the scent reminds me of Anais Anais, which is true, but at the same time, it doesn't. You might have to get a sample for yourself to see what I mean. Although it's not strong, it is definitely a long lasting fragrance. I put a little on my scarf on Monday, and I can still smell it now! The bottle itself is really pretty too, I only bought the 30ml one, but it also comes in 50 & 100ml. It's available in John Lewis, the perfume shop, and guessing all other major department/perfume stores.